Crafted in a Cotton Blend Pique for softness & comfort. Features an embroidered HUGO BOSS signature logo. A versatile piece crafted in a cotton blend with a modern piqué weave by BOSS Menswear. 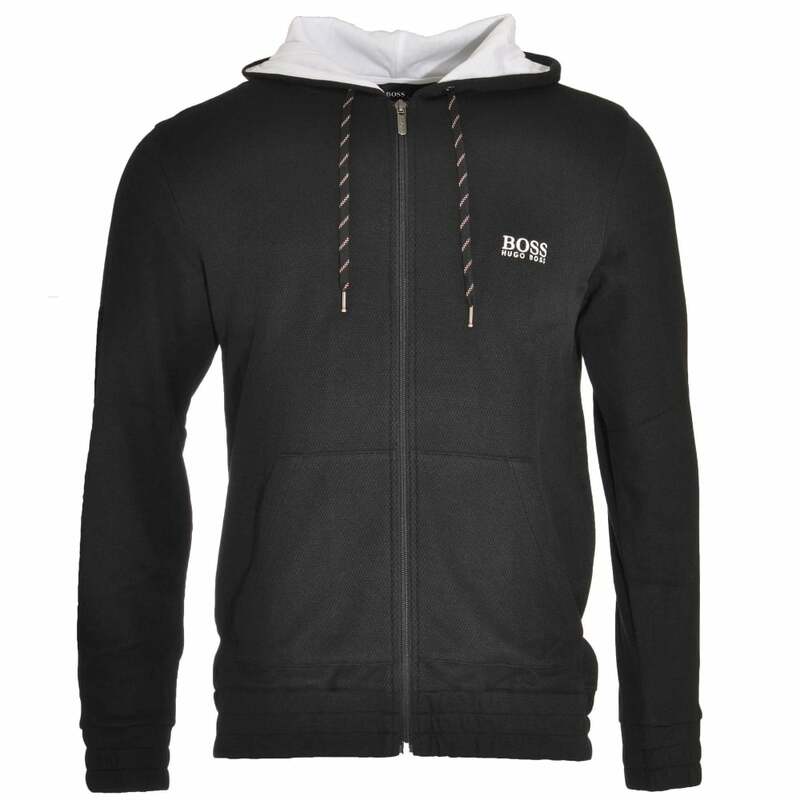 This easy-wear hoodie features a zip-through front, elasticised cuffs and a kangaroo pocket, and is completed by a contrast hood lining and BOSS embroidery at the chest. This downtime separate combines easily with loungewear bottoms for the ultimate in off-duty comfort. In this range we have a Black HUGO BOSS Cotton Blend Pique Zip-through Hooded Jacket. These are available in multiple sizes ranging from size Small to Extra Large.